The event will benefit the Nolan Ryan Foundation plus the Miracle League of San Antonio as well as HeartGift of San Antonio. Nolan Ryan is a former MLB pitcher who played for the New York Mets in 1966 and from 1968 to 1971, the California Angels from 1972 to 1979, the Houston Astros from 1980 to 1988 and the Texas Rangers from 1989 to 1993. After his playing career he was president and CEO of the Texas Rangers from 2008 to 2013. During his Major League pitching career that spanned 30 years Ryan threw a record seven no-hitters and 5,714 strikeouts with a win-loss record of 324 to 292 and an earned run average of 3.19. Ryan’s career strikeout record is the most in Major League history. In 1996 Nolan Ryan’s number 34 was retired by both the Texas Rangers as well as the Houston Astros. 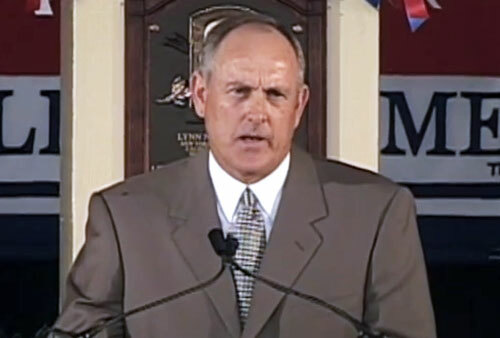 Nolan Ryan was inducted into the Baseball Hall of Fame in 1999 in his first year of eligibility. Sports Speakers 360 is a booking agent for pro athletes. If you would like to book Nolan Ryan for a speaking engagement, appearance or endorsement, contact a Nolan Ryan booking agent for fees at 1.855.303.5450.